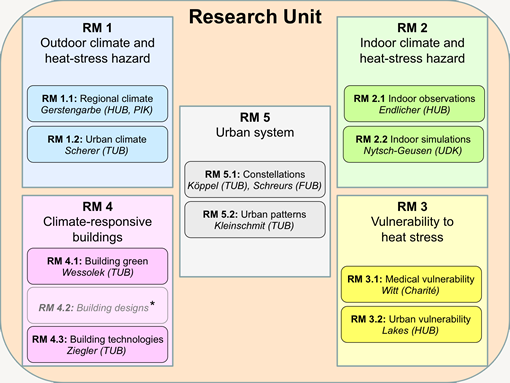 The elementary structure of the Research Unit (RU) was formed by the sub-projects. Large parts of the research within the RU required collaborative, coherent, and thus co-ordinated efforts between two, multiple or all partners. Following the concepts presented in the Figure below we associated each sub-project to a Research Module. Click on the map to get further information about each research module or sub-project.